Senior Molly deBettencourt recently passed the 1,000 point mark. She has been a standout on the court since her Freshman year. It was a routine stop and pop. 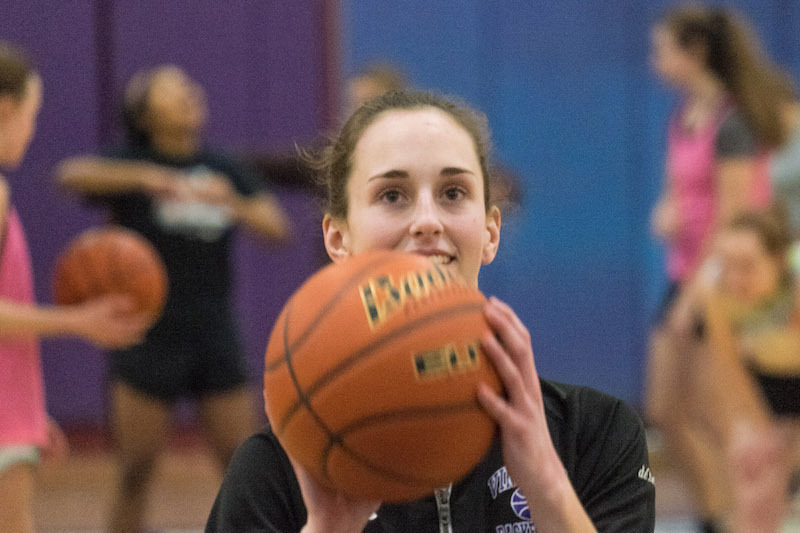 Martha’s Vineyard Regional High School senior Molly deBettencourt brought the ball up court against her North Quincy oppnents, stopped just inside the three-point line, and let it fly. While she’s made that shot dozens of times, the 1,000-point milestone was anything but routine. Few others had doubts. The standout shooting guard excelled in the Division 3 South region since the moment she stepped on the court as a freshman. She was on track for 1,000 points last season, but an ankle injury sidelined her for the last seven games of the season. After reaching 1,000 points in the game against North Quincy, she went on to score 33 points, a season high. During one game last year she lit up the scoreboard for 45 points, a career high. It hasn’t been easy. Other teams intent on denying Molly the milestone triple-teamed her at times. But she couldn’t be stopped. With three games left in the season, Molly’s career scoring total stands at 1,141 points. She admits she is a little sad at seeing her high school playing days come to an end. She is not through with basketball, however. 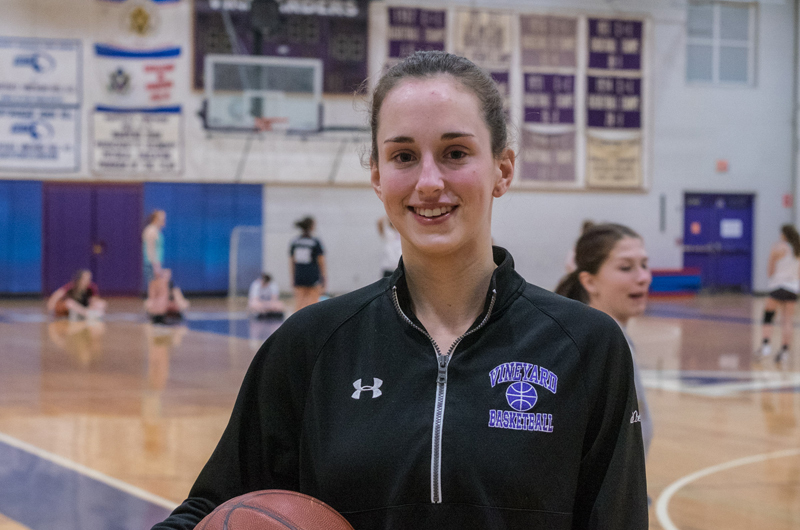 Recently she committed to play at Emmanuel College in Boston, an NCAA Division 3 school, which has several post-season tournament appearances to its credit. Her father Mike instilled her with a love of the game from an early age, so it’s a thrill for them both to see her hoops career extend to college. Coach Bishop has little doubt Molly will excel in Division 3 basketball. Emmanuel head coach Andy Yosinoff, who spends his summer vacation on the Vineyard each year, said he first met Molly when he drove by her family’s gas station in Oak Bluffs and saw her pumping gas. She became his number one recruiting target the first time he saw her play. Coach Yosinoff said he is not overly concerned about the jump to a faster, more physical style of basketball in college. As for studies, she’ll be concentrating on health sciences at Emmanuel College in Boston. But it will be her basketball career that adds some excitement to her studies, and the school is glad to have her. “It’s good to go where you’re wanted,” she said. Basketball is a great sport. Keep it up Molly!